Aloha friends! 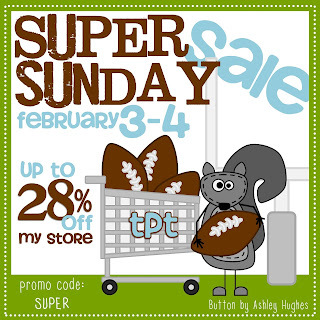 I am sure you have heard that TpT is having a sale this Sunday. Everything in my store will be on sale Sunday and Monday. 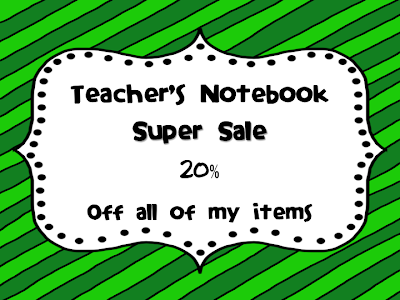 Teacher's Notebook is also having a sale this weekend on Saturday and Sunday. Everything in both of my shops will be on sale. Click on the picture above to take you to my Teaching Resources. Click on the picture above to take you to my Clipart Shop.